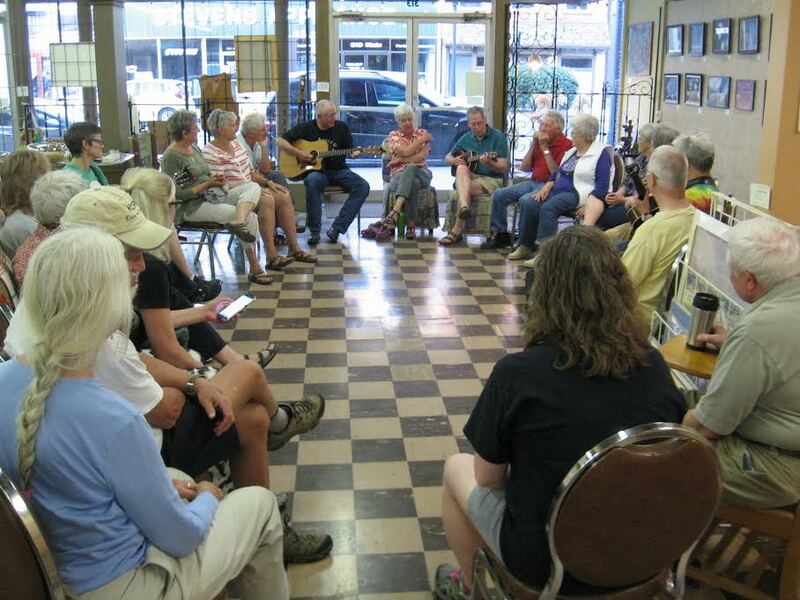 Join us for our Community Sing on the second Thursday of each month. Rise Up Singing. Our leader this month will be board member, Sara Cleaveland and member of the band, The Lonesome Companions. As Matt Watroba says, "If you were one of those kids that the choir director told to just mouth the words, this is the group for you!" There is no charge but you are welcome to join the River Rats organization to help support the ARTS in our region. "MKT Crossing the Missouri River in Boonville" ... a presentation by local railroad historian Todd Basleee, recalling the local history of the MKT Railroad and the iconic Katy Bridge. Sunday, April 14th, 2013 ~ 2- 6pm, or so? of sharing art in the Booneslick! A selection of April Karlovit’s ceramic marionettes, as well as, circus and puppet paintings is now at the Zuzak. Through the art of the puppet, April has explored the dimensions of film, acting, set design, sculpting, teaching, and perhaps most importantly for her, collaboration. Her work salutes gypsy performers, puppet actors, and circus clowns. Painting and drawings by Tim Williams are also on display in the front gallery. Other artworks on exhibit in the gallery include paintings, prints, photography, jewelry, batiks, books, switch-plates, music CDs... works of artists including Christopher Bolin, Lisa Hirlinger, Harry Enderle, Gwen Stapleton, Kim Carr, Jeanne Heuser, Julie Donnelly, T. Marie Nolan, Linda Milkersman and Gary Lucy. All of the artwork will remain on display through April 14. We want to sincerely thank all of the artists who have shared their work and the public who have supported them, so we thought a party would be the best way. We invite you to join us on Sunday, April 14, 2013, from 2 pm until 6 pm or so. There should be music in the air; snacks and drinks to share are welcomed, and we’ll all say “goodbye” to the ZUZAK, for now...while we WONDER what's in STORE for it next? Come celebrate with us, as we honor the youth who participated in the Cooper County PhotoVoice Project! BOONVILLE - Boonville's first Photo Voice class is in its fifth week. The class kicked off on October 22 at Laura Speed Elliot Middle School. This is the first time the Central Missouri Community Action's (CMCA) class has been brought to a rural area. Photo Voice is an international project that uses photography to enact social change in the community. This is an opportunity that is typically only offered to high school students, but CMCA wanted to give middle schoolers a voice. "There's a lot of stuff for elementary kids and high school kids, but this gap exists in 6th, 7th and 8th grade," Boonville's Photo Voice teacher Evan Melkersman said. "You can get them now when they are making that transition, and you can teach them how to advocate for positive change in the community." The Photo Voice class will meet once a week for seven weeks. School counselor Missy Walker hand selected nine students to be the first to participate in the Boonville class. Each of the students were given a digital camera to use for the class to complete their assignments. Each week, the students will discuss a different poverty-related issue in class, such as basic needs and lifelong learning. Their homework is to bring back five to ten photos that best represent the theme they are discussing. A Community Services Block Grant funds the program. "This is in their hands," Melkersman said. "This is their project. They have the power now to drastically change the community for the better. The more they take that seriously, the better they will do in the program." "It all starts with the kids," Melkersman said. "If you can get them into a positive frame of mind, if you can empower them with a voice that they can actually go out and change something in their community, that's pretty powerful. Then to put a camera in their hands- you have the perfect recipe for some positive change." 90 "Mighty Good Years" here in the Booneslick! Amazing Gift – Fred Oerly worked for the better part of two years carving over 100 life-sized cardinals as gifts for the many volunteers who make Mid Missouri Honor Flights possible. The Zuzak Wonder Store at 311 Main Street, Boonville, MO will be hosting a celebration for local author and wood carver Fred Oerly in honor of his 90th birthday from 2-4 pm, Saturday December 8, 2012. Refreshments will be provided. Fred will be demonstrating his carving skills, and there will be a reading from his book, "Some Mighty Good Years," that captured the stories of his Cooper County youth. He will also show photos and tell about the 112 cardinals he carved and donated to the Central Missouri Honor Flight volunteers. Oscar “Fred” Oerly served in the US Marines from October 1942 to the end of World War II. As a Forward Observer attached to Navy Gunfire, he was on several islands in the South Pacific including: Guadalcanal, Guam, New Caledonia, Bougainville and Okinawa. Fred’s medals include the Bronze Star and Purple Heart. Puppet Theatre Workshop ...for free! 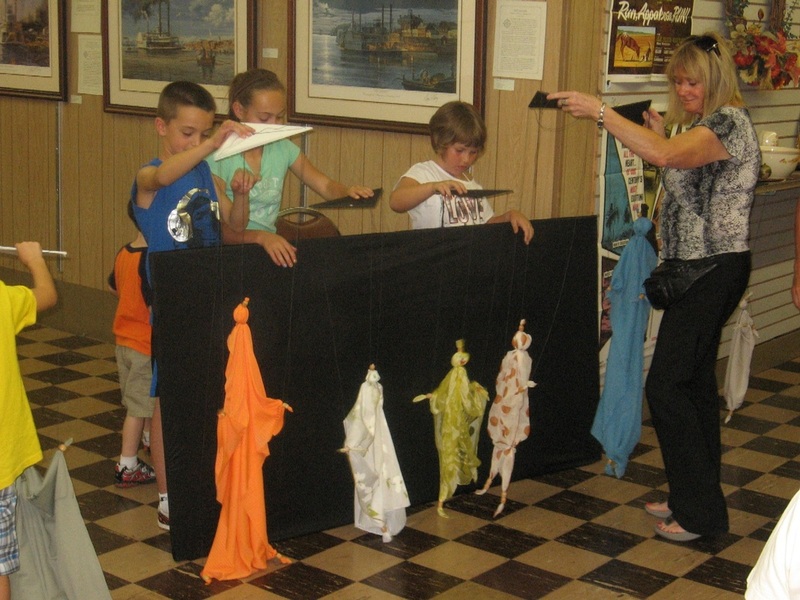 Turner Hall River Rats for the Arts and Zuzak Wonder Store will join forces once again to present a Puppet Theatre Workshop for kids of all ages are invited to construct and learn to operate a simple string puppet. The workshop will also include creating and performing a short play with the puppets. No previous experience in art or theatre is required, just a willingness to have fun. The instructor, Deb Jewett, is a library associate and works with the Daniel Boone Regional Library outreach program. 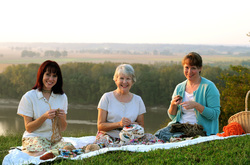 She has created puppets and puppet shows in the past and will add her delightful humor and enthusiasm to the event. necklaces I put together just because I find the materials beautiful. 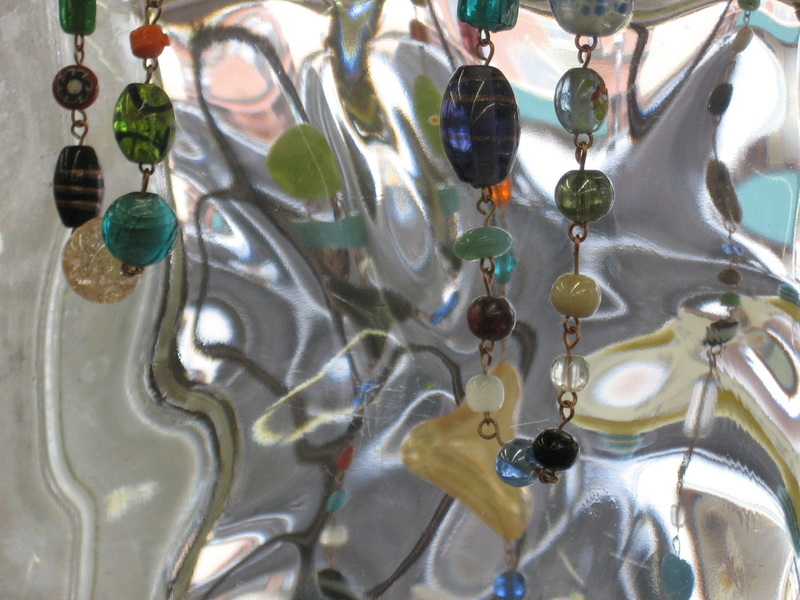 I try to share some of the history and power of the materials with the creations that I sell. Come wearing your decorative creation and win a prize! These bowls will be singing at the Zuzak Wonder Store, Thursday May 24, beginning at 7:00 pm. Who: This improvisational jazz band spreads the medicine of harmonious music and clean water as they travel to 3rd world council meetings around the world. 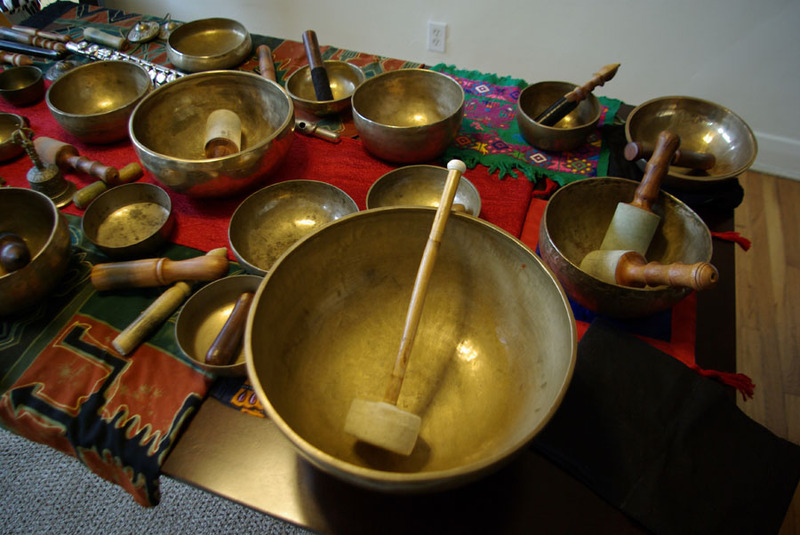 In the world of mid-Missouri we are delighted to host an evening of their singing bowls accompanied by harp, guitar, and flute. The audience will be invited to play along during the second half of the performance. To experience the orchestra visit their website at www.playingharmony.com and make plans to hear them live and play along! The Zuzak Wonder Store will host a reception with featured artist Gary R. Lucy on Saturday, April 14, 2012 from 2-5 pm at 311 Main Street, Boonville, Missouri. Mr. Lucy will speak on his career and art at 3:00pm. The exhibit “Steaming Up River” features over 20 of his limited-edition prints, and will be on view at the gallery through June, 2012. Gary Lucy lives in Washington, Missouri with his wife Sandy who is both his business partner and current mayor of the historic river city. From wildlife to steamboats and bridges, his paintings depict a bygone era and seldom-seen views of the great inland waterway. The event is open to the public, and will coincide with the Big Muddy Folk Festival and downtown window displays featuring the theme “Big Muddy Reflections”. The art work of 22 budding artists! The Zuzak Wonder Store will hold a Meet the Artist event for the Boonville High School students who are participating in the current show, A Pirate’s Treasure Trove, on Sunday, February 19 from 2 – 5 pm. The gallery, located at 311 Main Street, is featuring the work of 22 students from Helen Sanders advanced art classes including paintings, drawings, batik fabric, pottery and jewelry. Wallets made from Duck Tape and recycled glass works round out the display. Some items are for sale and refreshments will be served. The idea behind the show is to give young artists the opportunity to have an actually gallery experience, including selection of work, hanging the art, naming the show and putting together a reception. Sanders said, “I have always encouraged my students to visit art galleries whenever they have the opportunity. I think many feel a little intimidated by them and won’t go in. I’m hoping that by having their own work in an actual gallery space, students will be more at ease when visiting a gallery in the future. We are fortunate to have a local gallery that my art students have easy access to. Art galleries can be a great resource to students in the development of their own art style. A Pirate’s Treasure Trove will run through Sunday, March 18. Thursday - Saturday, 11 - 6 pm... & Sunday, 12 - 5 pm, or call 573-694-1672. Receive news of ZUZAK events and classes via email. Just send an address through our Contact page. Rosa Minstrels – Amy, Pat and Lynn Humphrey – will be singing Christmas carols from from 4 – 5 pm during the Zuzak Wonder Store’s open house on Saturday, December 3rd, 2011. Zuzak Wonder Store will hold its Holidaze Open House on Saturday, December 3rd from 2 – 7 pm. 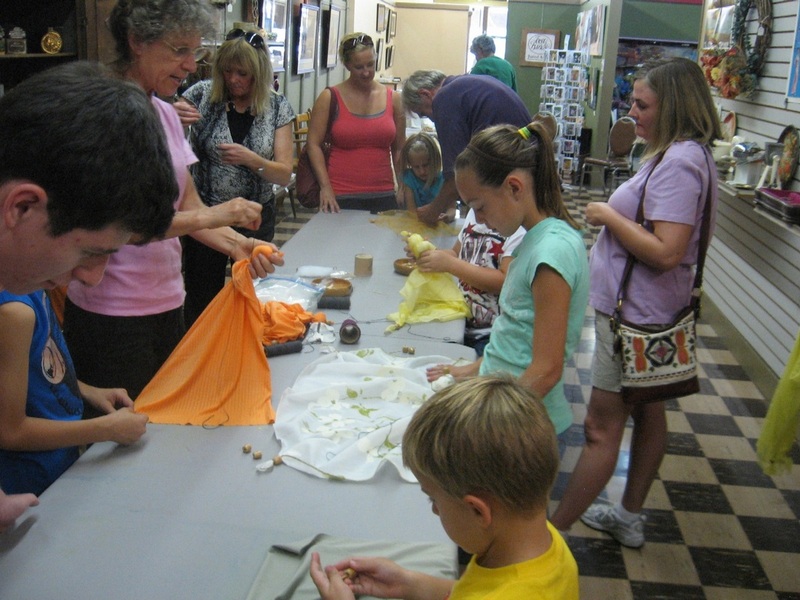 The gallery, located at 311 Main Street in Boonville, will feature a snowflake-cutting workshop from 2 – 4 pm, Christmas carols with the Rosa Minstrels from 4 – 5 pm, and refreshments throughout the afternoon. Snowflake-Cutting Workshop: Cutwork on paper has been used for centuries as a decorative medium for various celebrations and through the years serious artists have embraced the medium. Snowflake patterns will be used to create a winter wonderland of beautiful window decorations. The workshop is free and open to anyone old enough to handle scissors safely. Christmas Caroling: The Rosa Minstrels – Pat Humphrey and daughters Lynn and Amy – will share their beautiful family harmony while leading a caroling singalong. Their CD Célébrons la Naissance, available at the Zuzak, has been featured on NPR and has become a favorite holiday recording. The caroling is free and refreshments will be served. For more information visit the gallery during regular business hours, Thursday - Saturday, 11 - 6 pm and Sunday, 12 - 5 pm ... or call 573-694-1672.